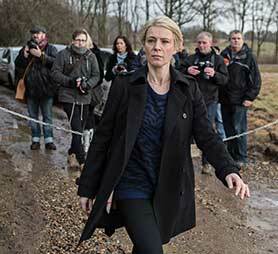 Writers Adam Price, Jeppe Gjervig Gram and actor Birgitte Hjort Sørensen made their names on Danish political drama Borgen. Michael Pickard finds out what they’ve been up to since and how the series shaped their careers. When Borgen first aired in 2010, the idea that a television drama focusing on the complexities of Danish coalition politics might travel around the world must have seemed optimistic at best. Gabold can be forgiven for his caution. But buoyed by the international success of Scandinavian exports such as Wallander, Forbrydelsen (The Killing), the Millennium film trilogy and Broen/Bron (The Bridge), Borgen was swept up in the wave of demand for series coming out of the region. In the near-decade since Borgen made its debut, its stars – including Sidse Babett Knudsen (who played prime minister Birgitte Nyborg), Pilou Asbæk (her advisor Kasper Juul) and Birgitte Hjort Sørensen (journalist Katrine Fønsmark) – and those behind the camera have gone on to make series that have kept Danish drama in the global spotlight. Price most recently wrapped on another DR series, Herrens Veje (Ride Upon the Storm), a two-season, 20-episode drama about a family of priests who each choose their own path to a meaningful life. 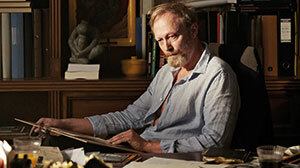 It stars Lars Mikkelsen and is produced by Sam Productions, with StudioCanal distributing. The writer says that although he is a fan of Nordic noir, he was keen to ensure Borgen’s successor didn’t follow the path of a “dark, gritty crime story, typically with dead people in forests and lonely, socially awkward police officers who have to solve the cases.” Instead, Price decided to explore a new genre, Nordic magical realism, with a story about spirituality and faith. “It’s incredibly important not to keep moving along the same alleyways. Even the Brits are now producing Nordic noir and have been for several years. It’s not a speciality of the Nordic countries anymore,” he says. 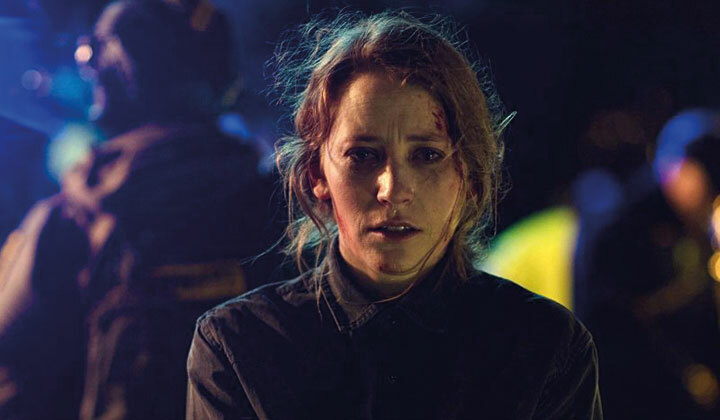 Ride Upon the Storm launched in the UK on streaming platform Walter Presents in January this year, the same month that Greyzone, which stars Borgen alumna Sørensen, also debuted on the Channel 4-backed service. 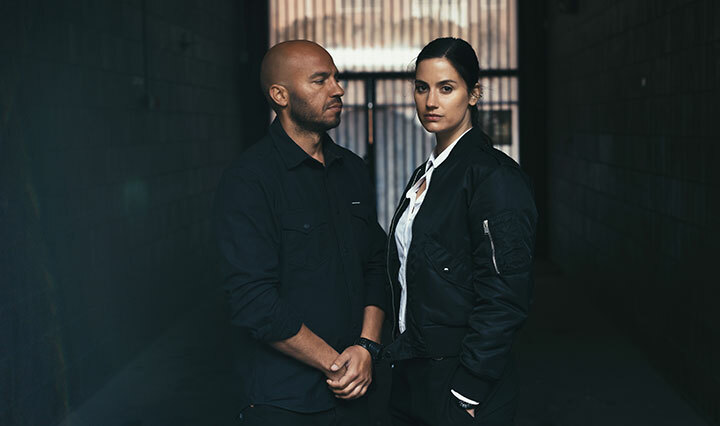 The 10-part series, produced by Cosmo Films for TV2 and distributed by ITV Studios Global Entertainment, follows the events that lead up to a planned terror attack in Scandinavia, centring on brilliant drone engineer Victoria Rahbek (Sørensen), who is taken hostage. Her captor is part of the terror cell planning the attack, with Victoria chosen so the group can acquire the components it needs from her company. Victoria must risk everything to steal the equipment while also working as a double agent for the police, who will do anything to prevent the attack. 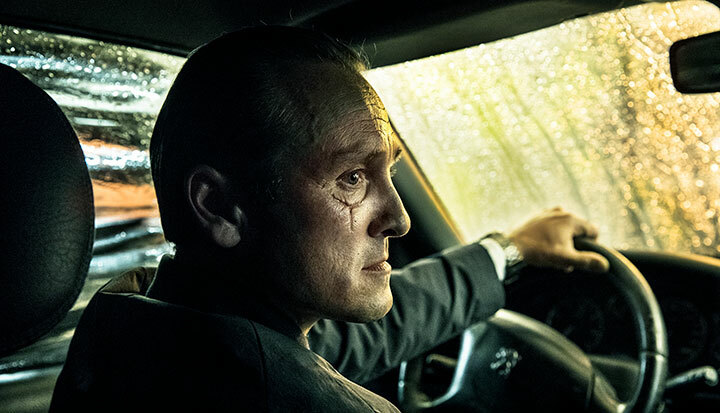 “I could sense there was a high level of ambition from the people who created it,” the actor says of the show, which is written by Morten Dragster and Oskar Söderlund. “Greyzone is the term we have in Danish for ‘grey area’ – all the things that aren’t black and white, which is life. Often in fiction, there’s a given right or wrong because it reads well and you know who to root for, but in real life that’s hardly ever the case. So it really interested me that they wanted to dive into this complex world. After her breakout role in Borgen, Sørensen landed parts in British dramas Marple and Midsomer Murders, starred in feature Pitch Perfect 2 and also appeared in HBO series Game of Thrones and Vinyl. What she enjoys about acting, she explains, is the opportunity to dive into different worlds, genres and characters, particularly when this gives her the chance to learn something new. “I had a lot of great adventures abroad. The thing about working overseas is the budgets are usually bigger, so the toys are usually bigger – I would never get to do something like Game of Thrones in Denmark because we couldn’t afford it,” she continues. “It’s been so adventurous, but also, because it is a much bigger pond, I naturally become a smaller fish. I haven’t said I’ll never work abroad again, but there were a lot of days where I just sat on my own and I missed my family, so I made a conscious choice to move back home and be here and work here, and I’m really happy. 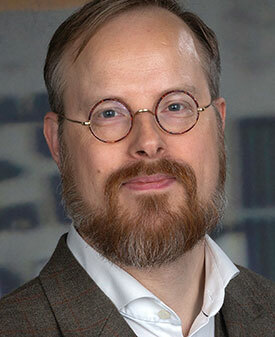 One of Price’s Borgen co-writers, Jeppe Gjervig Gram, followed up the political drama with a series of his own creation, Bedrag (Follow the Money). The show, again for DR, explored the world of financial crime over three seasons, the last of which aired earlier this year and focused specifically on money laundering. That kind of freedom is rare in television, particularly from a free-to-air public broadcaster. 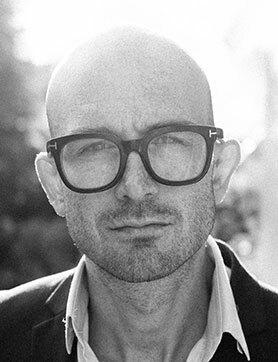 Gram admits it was both refreshing and daunting, but with Follow the Money’s third run earning rave reviews, “DR’s wonderful gamble in the form of maximum trust in the writer luckily paid off, and the freedom of creativity has been a true pleasure,” he says. Borgen’s success has also launched many careers, he adds. “All of a sudden – and this was the case with Ride Upon the Storm – we could finance a Danish show with money from several European broadcasters because we were known names for them and they really wanted the next shows. Sørensen was only two years out of drama school when she landed her part in Borgen, which she credits with making her a household name in Denmark and thus providing her ticket to working abroad. Price is now heading into production on his next series, Ragnarok, a six-part drama for Netflix. The Norwegian-language show unfolds in the fictional small town of Edda in the middle of the Norwegian countryside and is described as a modern-day coming-of-age drama rooted in Norse mythology. But it is something he learned on Borgen that Price keeps with him long after that show ended, and will prove particularly useful now he is working on a series that will roll out simultaneously in more than 190 countries worldwide. 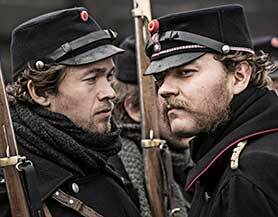 Four new dramas hailing from Denmark were showcased during Berlinale’s Drama Series Days event in February. DQ rounds up the selection. A terrorist attack at a Copenhagen restaurant is dramatised in terrifyingly vivid fashion in the latest drama from pubcaster DR, created by Dicte’s Ida Maria Rydén and Dorte W Høgh. Yet rather than dwell on the incident itself, the 10-part limited series is a character-driven piece that focuses on a group of people both before and after the attack and examines how their lives are interwoven. It is produced by Stinna Lassen (The Team) and DR Drama and is being sold internationally by DR Sales. When the Dust Settles is slated to air locally in January 2020. Following the success of the first season last autumn, The New Nurses is returning for a second six-part run, continuing the 1950s-set story about the first intake of male nurses in post-war Denmark. It is produced by SF Studios and Senia Dremstrup for TV 2, with REinvent Studios distributing. A reboot of 2011’s Those Who Kill, this eight-part serialised crime thriller asks not whodunnit but ‘whydunnit’ when a profiler is called in to help save two kidnapped girls from a murderer. 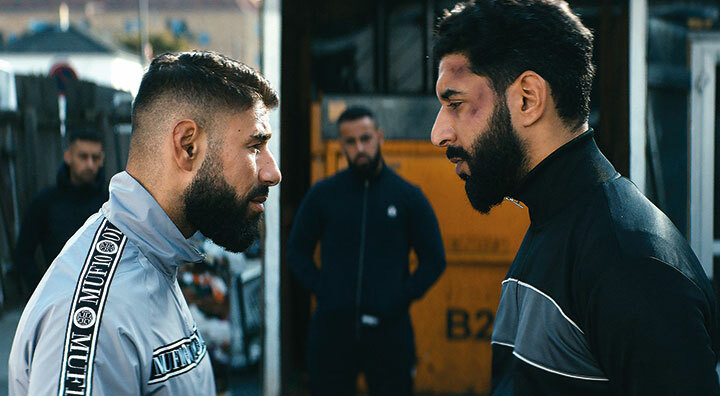 Commissioned by Nordic streaming service Viaplay, it is produced by Miso Film and written by Ina Bruhn. Fremantle is handing worldwide sales. Danish actor Birgitte Hjort Sørensen broke out on the international scene with political drama Borgen and has gone on to appear in Game of Thrones and Vinyl. She’s now back on home soil in Greyzone, a 10-part thriller about a drone engineer taken hostage by terrorists. Birgitte Hjorth Sørensen became a star at home and abroad for her turn as TV journalist Katrine Fønsmark in celebrated political drama Borgen. Since the three-season series ended in 2013, the Danish actor has gone on to appear in a number of film and television series in the UK and US, most notably in long-running UK crime drama Midsomer Murders, movie sequel Pitch Perfect 2 and HBO dramas Game of Thrones and Vinyl. 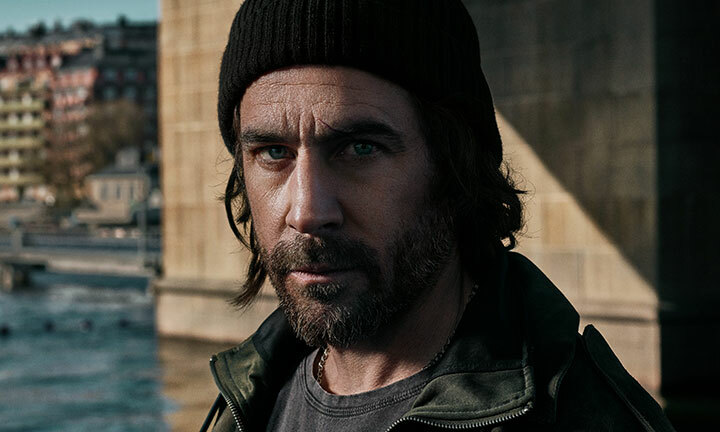 Sørensen is now starring in a new Danish thriller called Greyzone, a 10-part series produced by Cosmo Films and distributed by ITV Studios Global Entertainment. 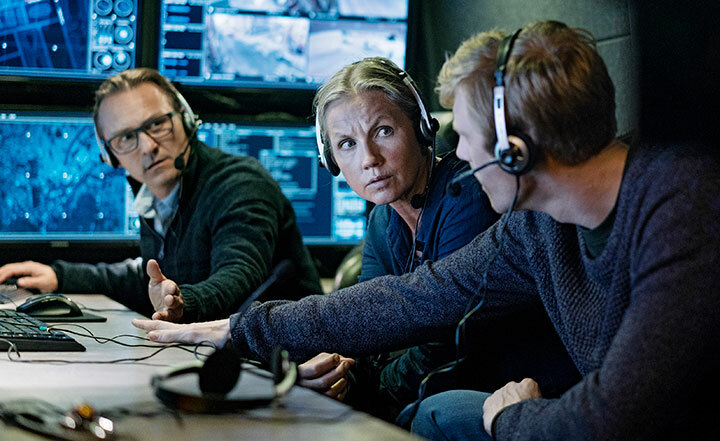 The drama follows the events that lead up to a planned terror attack in Scandinavia, centring on Sørensen’s brilliant drone engineer Victoria Rahbek, who is taken hostage. Her captor is part of the terror cell planning the attack, which has chosen Victoria to access the components it needs from her company. Victoria must risk everything to steal the equipment while also working as a double agent for the police, who will do anything to prevent the attack. However, beneath the hate, fear and prejudice, real feelings start to emerge between Victoria and her captor. 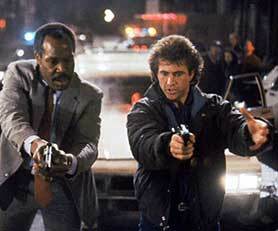 But are they able to truly look past their differences and can the attack be averted? 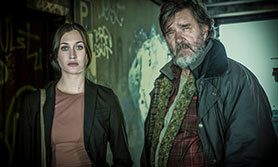 Greyzone, written by Morten Dragster and Oskar Söderlund, launches on TV2 in Denmark on February 25. 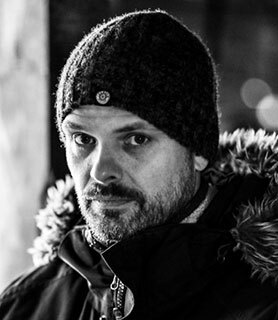 Jesper W Nielsen directs the first five episodes, with a cast that also includes Ardalan Esmaili, Joachim Fjelstrup, Tova Magnusson and Lars Ranthe. It is coproduced by TV4 Sweden, C More Sweden, Germany’s ZDFneo, NRK Norway, SF Studios Sweden and Germany’s Nadcon Film. Here, Sørensen reveals why starring in the series appealed to her and how the story chimes with real-world events. From the first time I read the first episode, I was drawn in to the story; it felt like a page-turner. I was incredibly excited to see what came next, and that is a rare but really welcome thrill in reading a script. I had no doubts about accepting this. I thought it was incredibly interesting, incredibly relevant and an opportunity for me to dive into a pretty complex psychological behavioural situation that I hadn’t worked with before. For my part, I read books by people who have been held hostage and I talked to a psychologist who is an expert in helping people when they return from being held hostage. It was just incredibly interesting to learn that the most significant part of being held hostage is not so much the torture or the physical element, it’s the fact you don’t have power over your own life anymore. In a sense, you’re being forced to be a child again. Somebody else makes the decisions, and that creates incredible despair and, in some cases, apathy, which is so destructive because when you lose the will to survive, you’re pretty much dead. It’s about terrorism, which is everywhere we look today. Almost every day on the news, you see some new attack somewhere. I think it affects all of us; it certainly affects me and I feel a desperate need to try to understand why. That’s what we try to achieve here with Greyzone – to really try to understand the people on both sides and also to reflect a little bit more on how we actually participate, whether it’s by sending soldiers or technology to war or by not taking a stand. For me, at least, it’s made it clear we all have a part in it. If I compare Greyzone with some of the work I’ve done abroad, the experience of being on set is very Scandinavian, very homelike to me. We have a very familiar, equal way of producing in Denmark. The actors are invited to really take part – not in writing the script, but our thoughts on the characters are welcomed. 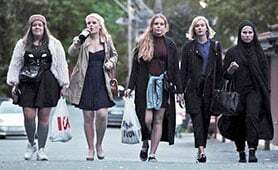 That creates a greater sense of ownership for the actors and I think that’s why what we are often appraised for in Scandinavia is that the characters feel really real. When I see some of the material we’ve done [on Greyzone], I think it looks international. It has that feel, so in a way we fit nicely into the line of Nordic noir, but this is something else as well. It’s just raising the bar a little bit. As hit Danish drama Badehotellet (Seaside Hotel) returns for a fourth season, creators and writers Stig Thorsboe and Hanna Lundblad reveal the inspiration behind this blue-sky period drama. 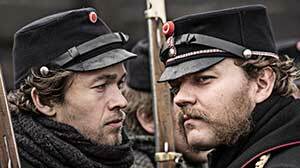 If there’s one series that can banish the bleak landscapes and murderous storylines commonly associated with Nordic noir, it could well be Danish period drama Badehotellet (Seaside Hotel). 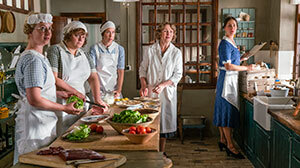 The show, which mixes comedy and drama set against the picturesque scenery of the Jutland coast, launched in 2014 and transported viewers back to 1928 as the lives of rich holidaymakers and hotel staff melded together for one long, carefree summer filled with hope, secrets and showdowns. According to local broadcaster TV2, Badehotellet is the most watched Danish drama over the last 10 years, securing an average share of 63%. Hopes are high that the series, which also airs on TV2 in Norway, TV 4 in Sweden, YLE in Finland and Greece’s ERT, can repeat this success when season four debuts on January 23. The story picks up in the summer of 1931, when things have changed at the Badehotellet. The hotel manager, Mrs Andersen, has caught an illness and leaves her daily duties in the hands of Fie as their well-known, loyal guests – as well as first-timers – are about to arrive at the hotel to enjoy another summer vacation away from ongoing global crises. 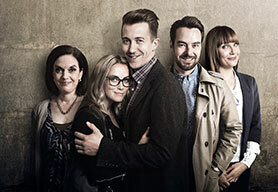 The show is written by married couple Stig Thorsboe and Hanna Lundblad, who are behind some of the best-known dramas in Denmark, most notably Lykke (Happiness) and Krøniken (Better Times). Thorsboe has written more than 200 television episodes, while Lundblad has previously worked as a script consultant for Danish public broadcaster DR.
Badehotellet is produced by SF Film Production in coproduction with Nitrat Film and Thorsboe & Lundblad, and distributed by TV2 Productions & Rights. Here Thorsboe and Lundblad tell DQ about the origins of the series, why they enjoy writing together and why the series is an antidote to Scandinavian noir. Where did the idea for Badehotellet come from? We were inspired by the time when the world turned from the Roaring Twenties through the Wall Street crash and depression and suddenly faced another devastating war. To some degree, we found the time mirroring the time we’re living in now. We were intrigued by the clash between involvement and denial. Looking for a not-too-costly, original historic location, which could house an upstairs-downstairs story, we got the idea that an exclusive seaside hotel, the likes of which surfaced in large numbers along the coasts of Europe during those years, could be a wonderful setting. Before common people even knew what the word holiday meant, rich people went out to the sun and beach each summer, staying at seaside hotels where young local girls waited on them – the same hotel, same guests for up to five or six weeks, a lovely ‘summer family,’ a clash between town and country, guests and maids. And everyone was most concerned with private problems, without noticing the outside world was heading for disaster. How was the story developed for TV2? We pitched our idea to TV2, who immediately liked it and ordered a detailed treatment with a description of style, genre, the level of acting and the presentation of the leading characters. Based on the script of the first episode, TV2 chose to speed up and our producer, Michael Bille Frandsen, was asked to line up the production with ourselves as coproducers. Filming started less than a year after our first meeting with TV2. We have a year cycle. When we have finished the previous season’s final episode in post-production, we start to develop a new season, typically in January. We use a couple of months to find the main arcs, before we begin to develop and write each episode. It takes five weeks per episode. The first three weeks are used on storyline, the fourth week on structure and the last on dialogue. Here we often have audio recordings of improvisations, when they spontaneously appear during storylining. From May, the production of the first three scripts begins. We are currently watching dailies and are available for the director, while during the summer and fall we continue writing the last four of seven scripts. What do you enjoy about working together to write the show, as opposed to working alone? We’re married and this is our way to spend some time together. Seriously: it’s natural for us to work this way. We’ve done it for more than 20 years and, before that, we’d both co-worked with other writers for years. For us, it’s more of a talking process than a writing one. With five to six plotlines per episode, there is much to keep track of, much time spend to find the flow. How did you settle on the show’s visual style and tone? We wanted the pictorial expression to reflect summer, light and colour – quite the opposite of Scandinavian noir. The genre should be a mix of drama and comedy, tears and laughter. We were inspired by Room with a View and Gosford Park, and perhaps most of all Jean Renoir’s 1938 masterpiece The Rules of the Game, with lots of dialogue at a high rate and a clear contrast in the level of play between the guests from the bourgeoisie and the regular, local maids. We had a thorough casting process and are very happy to have so many of the best Danish actors. Among these are Bodil Jørgensen, Lars Ranthe, Bjarne Henriksen, Anette Støvelbæk, Anne Louise Hassing and Jens Jacob Tychsen. 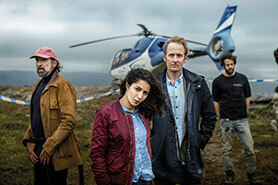 Foreign viewers will recognise actors from The Killing, Borgen, Unit One and Better Times. Compared with their roles in those drama series, it’s a pleasure to see these actors express Badehotellet’s more colourful characters. But it is equally important to mention that this is an ensemble series. It is without any doubt that the entire cast has a large share in the show’s success. Are your scripts very descriptive or do you allow the director and actors lots of room to bring their own thoughts to the series? We belong to the tradition in which the script is pretty thorough and rather detailed. In our experience, this gives the director and the actors a comfort to bring their own creativity into the process. They do not change the script, but redeem it wonderfully with their talent. Where is the series filmed and how do you use locations in the script? The majority of the location has been made on set. We’ve built a seaside hotel in the studio, both exterior and particularly interior sets with bedrooms, a living room, dining room and kitchen and maids’ rooms, among others. 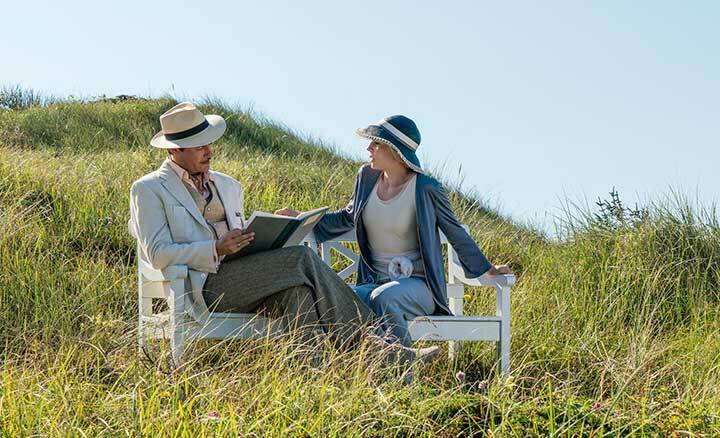 In each episode, we supplement the set by shooting scenes by the sea and beach on the west coast of Jutland, where the fictional hotel is located in the story. Gradually more locations have been added, including a small farmhouse nearby, a train station, a police station, a shipowners’ building and a grocery store. But at least 80% of the action takes place on set, which is so lifelike that the audience experience it as a real hotel. What are the biggest challenges when writing the show? Without a doubt it is to get all the characters in play in each episode. It’s also a challenge to weave each episode’s five or six plotlines effortlessly between each other within the 45-minute running time. Now in season four, why has the show proven so popular? We think it has something to do with the mix between drama and comedy. There are very funny scenes followed by touching ones – like in life, you could say. The audience is taken by the characters and their struggle, funny or sad. And, as it should be in a period series, the characters’ problems are also contemporary. They speak from their time straight into ours. We hope the short answer is that the series is entertaining. What do you enjoy most about writing Badehotellet? Working with lots of enthusiastic and talented people on set and behind the scenes. With so much joy on set, working hard [is a pleasure]. This is maybe the best explanation for the success of the series. How has the role of a television writer changed in Denmark and do you enjoy other parts of the production process? Over the past 25 years, TV series in Denmark have become increasingly writer-driven, inspired by the US. 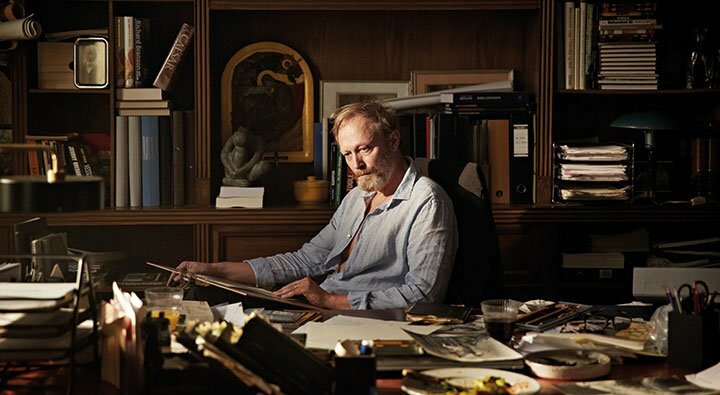 As far as we know, however, Badehotellet is the only Danish show in which the creators and authors are also coproducers with ultimate responsibility for the series’ content and artistic style. Season five of fantasy phenomenon Game of Thrones has picked up where its previous runs left off, delivering massive ratings for US cable network HBO. Overnights for the first three episodes came in at eight million, 6.81 million and 6.71 million respectively. That slight week-on-week decline shouldn’t give too much cause for concern, because so much viewing of the show is now time-shifted, on-demand or via other platforms. To underline the point, HBO has just released data that shows a staggering 18.1 million viewers watched episode one in the first week after its launch (a period of time referred to as live+7). This figure, which includes linear showings, HBO Go, HBO Now and on-demand views, confirms the serious pulling power of the show – while also cautioning against hasty judgements about first day viewing. 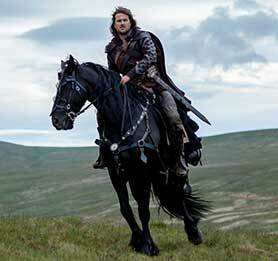 Game of Thrones is also popular internationally, with the UK launch garnering similarly enormous ratings. 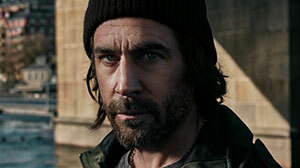 Sky Atlantic, which airs the show one day after the US transmission on HBO, reported record overnight ratings of 1.57 million – up 29% on season four’s debut. As in the US, those figures are certain to increase once time-shifted and multi-platform viewing is factored in. There were also record ratings for Foxtel in Australia, where 242,000 tuned in to watch episode one at 11.00 local time. An additional 311,000 tuned in at 19.30, creating a record day-one audience of 553,000. 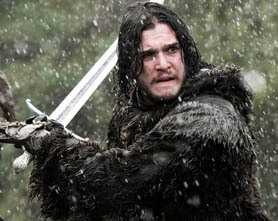 Game of Thrones’ ratings success is made all the more remarkable by the fact it is such a heavily pirated show. In the US, it holds the dubious honour of having been the most-pirated show for the past three years in succession. 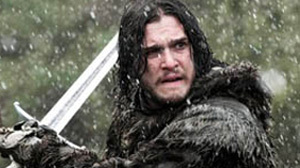 Problems with piracy have been exacerbated this year, with the first four episodes of season five having been leaked online ahead of the show’s official launch. 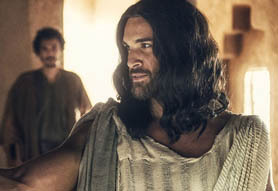 The ratings story is less rosy for Mark Burnett and Roma Downey’s 12-part series AD: The Bible Continues, which has seen its audience on US network NBC slide in consecutive weeks. 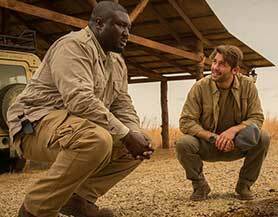 After a robust opening of 9.7 million on Easter Sunday, the next three episodes have come in at 7.75 million, 6.36 million and 5.77 million respectively. 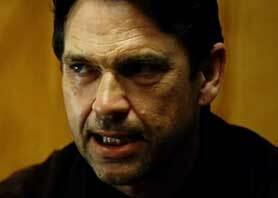 AD is a sequel to The Bible, a Burnett/Downey miniseries that aired on cable channel History US last year. Its underperformance is a surprise, given that The Bible averaged 11.4 million viewers per episode over its 10-episode run – making it the biggest US cable show of 2014. AD’s performance has led some analysts to suggest that NBC will probably cancel the show (though a final decision on that will need to take into account time-shifted ratings and a couple more episodes of data). This would be a blow to Burnett and Downey, who told journalists at MipTV in Cannes that they would like AD to be the launch pad for a multi-series franchise that tells more stories about the early years of the Christian church. Possibly, in hindsight, they would have been better placing AD in the less ratings-obsessed world of cable. The standout performer in the UK so far this year is BBC1’s Poldark. Based on books by Winston Graham (and also a remake of a classic 1970s series), the show is set in 1790s Cornwall, where former soldier Ross Poldark battles against vested interests to make a success of his family’s copper mine. Not an obvious ratings winner, it has been boosted by the brooding good looks and heroic demeanour of Aidan Turner, who plays Poldark. While Captain Poldark’s handsome face, enviable abs and moral rigour have led to some mockery, The Independent newspaper gets it about right when it calls the show “an addictive Sunday night treat.” Poldark may not be Wolf Hall, but it is a hugely entertaining show. With consolidated ratings averaging around 7.5 million across an eight-episode run, Poldark has been recommissioned for another series, to be filmed in September. And there are reports that the BBC wants to tie Turner down to a long-term contract and build Poldark up as its answer to Downton Abbey. 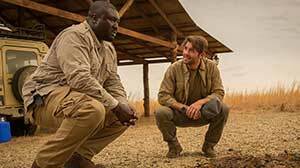 The programme also looks set to have a decent life internationally, with ITV Studios Global Entertainment licensing it to Australia, New Zealand, South Africa, Canada and Sweden. Confirmation of a second series will help ITVSGE with its further sales efforts. 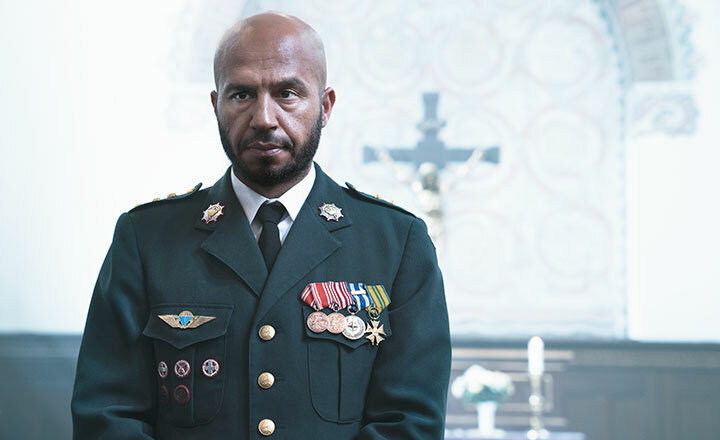 Elsewhere, the international drama community has been keeping a close eye on the Nordic territories after a run of recent successes. 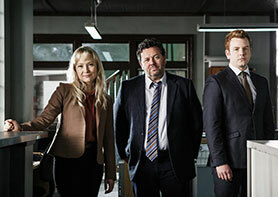 The latest show to watch out for is Acquitted, a 10-part series from Miso Films for TV2 Norway. Acquitted follows the story of Aksel Borgen, who left his native town after being cleared of the murder of his high-school sweetheart. Twenty years later, he returns to save the place that once turned its back on him – but the past has not been forgotten. Ratings, of course, play a huge part in deciding whether to renew a show. So it’s no real surprise to see ABC US cancel Revenge after a couple of seasons of modest ratings. It seems, however, that the US can’t get enough of zombies. AMC’s The Walking Dead is as strong as ever, which explains the network’s decision to launch a spin-off called Fear the Walking Dead. The CW is also having some success with iZombie, which debuted in March this year. Now halfway through its first run of 13 episodes, the show is achieving healthy ratings in the 1.7-1.9 million mark. Aimed at a younger audience that The Walking Dead, it has received a positive critical response and is expected to return. A bigger question, perhaps, is the future of A+E’s The Returned, which was eight episodes into a 10-episode run at time of writing. 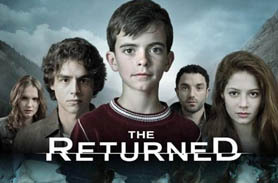 The Returned is a supernatural drama that explores what happens when the dead return to a small town and try to live normal lives, much to the shock and confusion of the living residents. Its significance is that it is based on a successful French series called Les Revenants (produced by Haut et Court for TF1). For those in the format sales business, it’s important that shows like The Returned do well, to avoid spreading fear among US commissioners that shows don’t transfer well into their market. A+E is not the kind of network that gives up on shows easily, however, so a cancellation at the end of season one would be surprising. Netflix will be watching developments with interest, having recently picked up the global rights to the A+E series.